I’m a bit biased so I will say a HUGE… YES!!! But, at the very least, you need to hire a day-of-coordinator. This insures you will be able to enjoy your day and be stress free. Although some choose to cut this vendor as a way to save money, having someone with no experience (such as an Aunt, Cousin or Friend), is a huge risk. And wouldn’t you prefer they enjoy the day with you, rather than working for you? A day-of-coordinator will be the one person who makes sure EVERYTHING comes together as you’ve planned. Their work begins months before the wedding day as they put together timelines, confirm details with your other vendors, gather contact info, and arrival times, etc. Calling your vendors is of the utmost importance. As a Wedding Coordinator, I have actually called vendors to confirm times, only to discover they had the wrong date! A Wedding Coordinator wears many hats! With an average work day of 8-12 hours, your Wedding Coordinator spends the most amount of time at your wedding the day of. 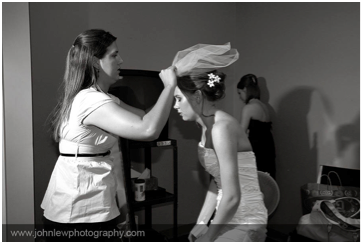 Wedding Coordinators like Erica Weddings, also offers Full Service Planning. This is assistance throughout the entire planning process and is becoming extremely popular among today’s busy brides! Whichever option you choose, you can’t go wrong by hiring a Wedding Coordinator. Even if its just day-of-coordination; your vendors and your nerves will thank you.